When you need computer help and can’t figure out the technical problem on your own, give us a call and we will assist you with your Windows PC problem remotely (No matter your Geographic Location). We do not send a computer technician to your home or business because with Remote Access Software and Broadband Internet Connections now widely available it is usually not necessary. Although we can also cater for this if required (On-site Support is only available in the Oxfordshire Area). 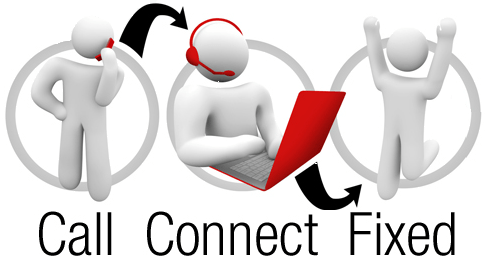 Most common computer problems can be diagnosed over the phone and then fixed with our Remote Computer Support & Repair Services using TeamViewer, free software which allows you to setup a quick and easy remote connection with us. Simply contact us to speak to us and discuss your problem . Before you make any commitment we will give you an estimate for the work you require. A one time 30 minute instant support credit starts at just £13.00 (this is usually adequate for the most common of computer problems). If you wish to go ahead and you haven’t already purchased Remote Support Units with us then we will talk you through the quick and easy process to do so. A Direct Bank to Bank Transfer is usually the preferred and easiest way to make payments via Internet Banking Services but we can also make arrangements with you to accept Payments via PayPal if required. We connect to your computer remotely and fix your problem securely and quickly. We then confirm the time taken and deduct the appropriate number of Support Units from your account. Any remaining Units can be used for any future requests for Remote Support. 4 – Carry On With Your Work Or Play! Within a short time you’re back up and working. How easy can it be? If you would prefer to discuss your requirements then please use the Contact form to get in touch with us. Securely Encrypted – Because we use TeamViewer remote support software which is protected with 128-bit end-to-end data encryption, Remote Computer Support is just as secure as if the technician were sitting in front of your PC. Good Value For Money – Our Remote Computer Support service is charged at a flat rate, meaning you know exactly how much you are paying with no hidden charges. Convenient – Remote Computer Support means there’s no waiting around for a home visit from the technician. It also means you don’t have to disconnect the machine and carry it to a shop. Repairs can be carried out on any desktop or laptop with a working internet connection and with TeamViewer installed and running on your computer. One-off 30 minute Remote Computer Support session with a friendly computer expert. £13.00 NB. Valid for 12 months from purchase. Two 30 minute Remote Computer Support sessions with a friendly computer expert. £22.00 NB. Valid for 12 months from purchase. Four 30 minute Remote Computer Support sessions with a friendly computer expert. £40.00 NB. Valid for 12 months from purchase. Six 30 minute Remote Computer Support sessions with a friendly computer expert. £60.00 NB. Valid for 12 months from purchase. MyComputerMan is not responsible for the protection of the data on your computers or any loss of that data resulting from any work undertaken. It is your responsibility to ensure you have a backup of your data BEFORE we perform any work on your computers. Remote Support is charged in 30 minute Units. The charge for each Unit starts in the first minute of each 30 minute session. Therefore the first Unit is due as soon as the work commences, the second Unit is due from the 31st minute onwards, and so on. Units will be deducted from your purchased Remote Support Unit Credits, if you exceed your purchased units for Remote Computer Support you we will need to purchase additional Remote Support Units from us. Any remaining Units after working on your problem can be used another time. Units have a 12 month lifespan from date of purchase. To purchase your Remote Support Units please get in touch using the contact us form.